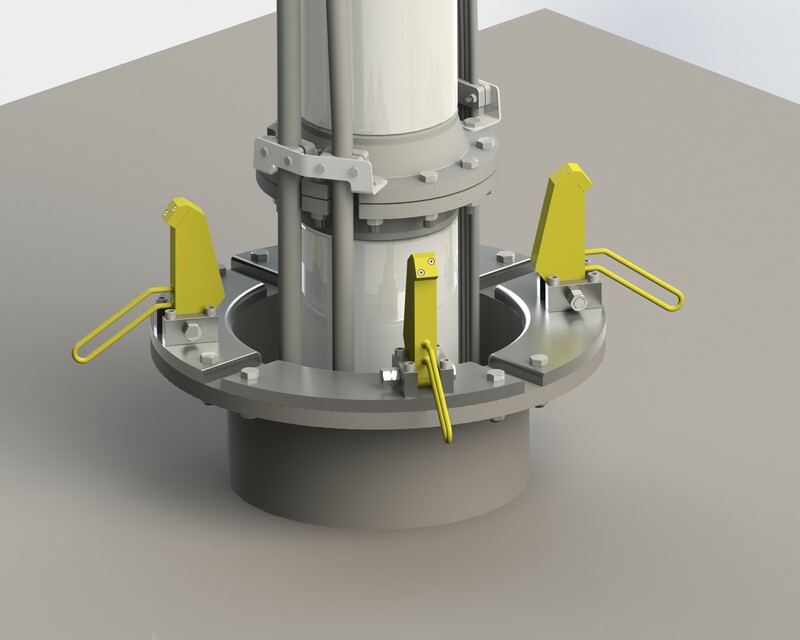 The Eureka hang off tool makes the job of installing and servicing vertical submerged pumps in caissons, safe and easy. There will be no work on hanging load, reducing risk both for personnel and equipment. The tool makes the installation much more efficient and reduces the installation/service time significantly. This one tool can be used for both the riser pipes, none return valve, pump and motor. The tool is certified according to NORSOK standards and can be delivered in stainless steel making sure there will be no carbon contamination on the motor, pump, nrv or riserpipes.